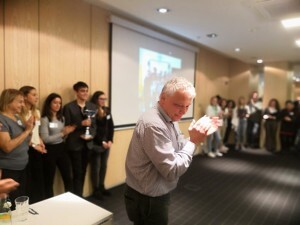 During the 7th ENVRIweek in Riga, Latvia, four secondary schools received their awards for the winning scientific experiments they performed in the school competition that ENVRIplus hosted for the second time. ENVRIplus wants to challenge young students to think about the Grand Challenges our planet is facing. 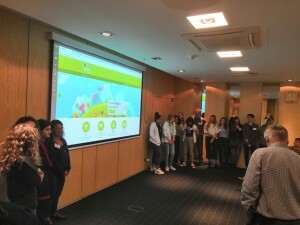 We, therefore, organized a scientific game for secondary school students in Europe. 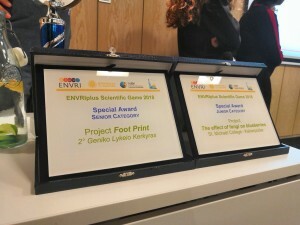 On the ENVRI community website (http://scientificgame.envri.eu) you can read more about this competition that consists of a scientific project and an online quiz. 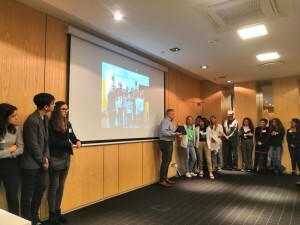 The winning schools were invited to come to Riga to present their winning projects to the ENVRI community, and teachers explained the added value of this competition for their lessons. 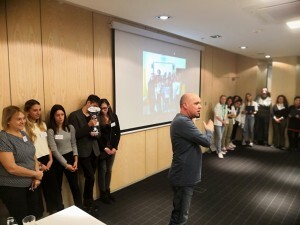 After the ceremony, the students joined the social dinner where they discussed more about their work and ambitions with the other participants. In the attached PDF file you can read more about the projects.